And Justice For Art: ZOMBIES AT THE GATES: MARK RIDDICK PAINTS THE COVER OF THE BOOK "HELLRAISERS"
ZOMBIES AT THE GATES: MARK RIDDICK PAINTS THE COVER OF THE BOOK "HELLRAISERS"
The master of monochromatic macabre art, American artist Mark Riddick (RIDDICKART), painted the cover illustration of "Hellraisers." 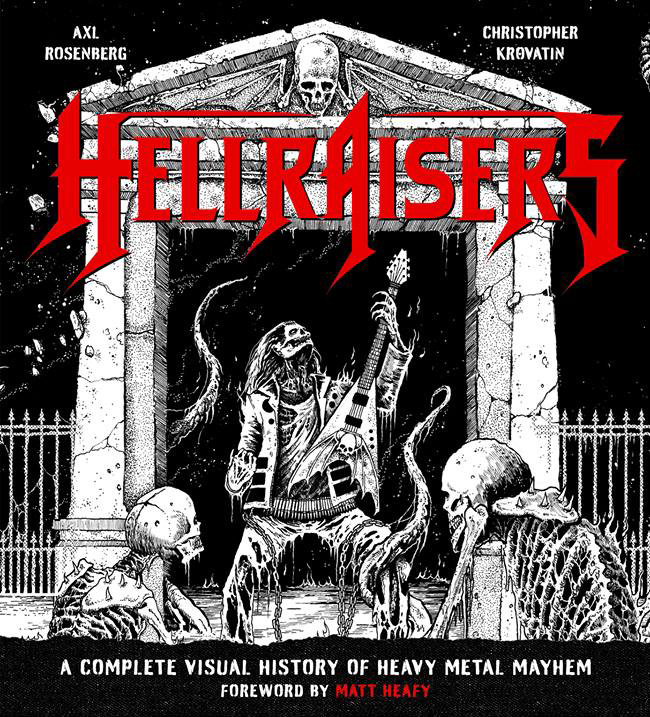 This is the new book by well-known journalists Christopher Krovatin and Axl Rosenberg of MetalSucks.net and other acclaimed online Metal publications. This volume explores the history of heavy music and the genre's development through decades. Regarding the collaboration with Mark Riddick, Krovatin comments: "Mark is wonderful to work with and excellent at interpreting my half-baked design concepts. We came to him with two ideas, one featuring the gates of Hell and another featuring a zombie headbanger raising the dead from the pit. When he sent us sketches, we liked them all too much to pick one or the other, so had him combine the two!" The American artist also designed the book's logo. "Having Mark do our cover was a dream for me," Krovatin adds. "I've grown up worshiping the dude's art, and we wanted this book to not feel dated or topical but instead to embody that timeless old-school metal feel that Axl and I love so much." "Hellraisers" can be ordered here. 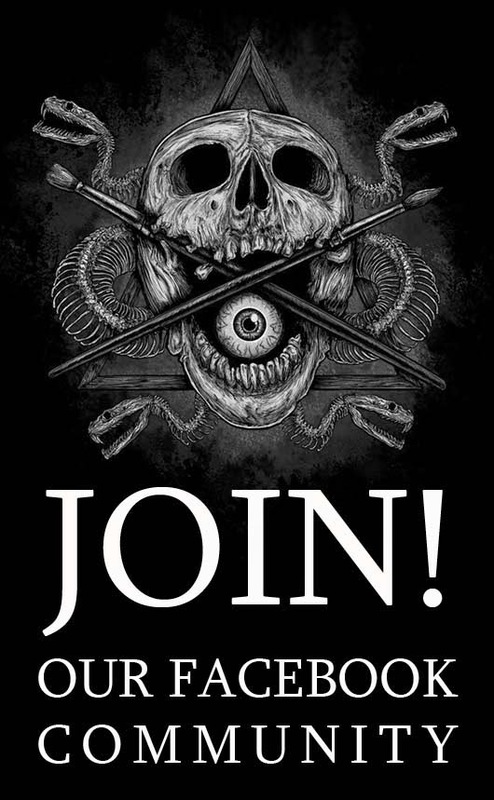 Mark Riddick's complete, original illustration. I honestly never knew about person, it’s sad that he passed away without any mention. Would definitely see his creations and see these episodes soon.